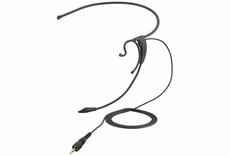 The ECM-322BMP electret condenser headset mic is ideal for use in a variety of multimedia presentation applications, ranging from seminars and conferences to lectures and workshops. The ECM-322BMP incorporates an omni-directional microphone capsule providing highly sensitive and clear sound pick-up. It's lightweight and ergonomic design provides a tight and secure, yet extremely comfortable fit that can be worn on the right or left ear. 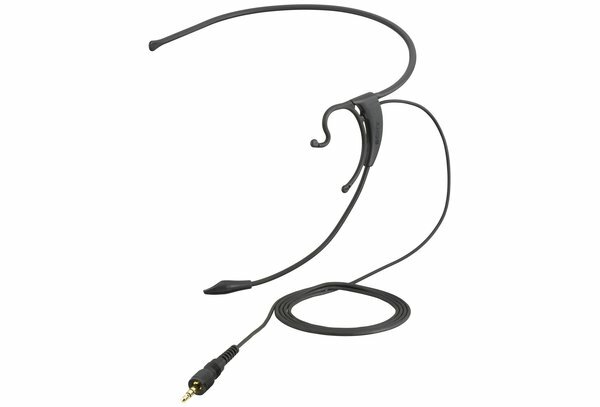 This headset is equipped with a slim and flexible boom, so the microphone position can easily be adjusted for optimum voice pick up. This (BMP) model contains a 3-pole mini-jack with a stable lock mechanism for use with Sony UWP Series wireless bodypack transmitters.